Let Us Beautify Your Home with Great Interior Design! Our interior design services always put your satisfaction first. Here at Legacy Design Build Remodeling, our first priority has always been quality workmanship and a happy client. We know that sometimes it’s the interior design details that make a world of difference in the finished product. That’s why we put so much effort into every detail as part of interior design in Scottsdale AZ: lighting, flooring, countertops, cabinetry and decor can all come together to complement any space — when done right. We’ve provided expert interior design services for some of the most beautiful homes in the Phoenix-metro area. 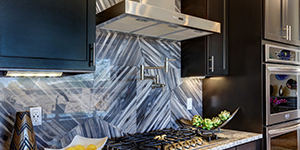 In fact, we have been a leading provider of home remodeling in Phoenix AZ for more than 30 years. We know how stressful any interior design project can be. Our qualified design team is here to take the stress off your shoulders and make it work for any budget. Once that’s decided, the process of interior design in Scottsdale AZ can be quite fun: choosing colors, decor, furniture, paint, window treatments, flooring, cabinetry, countertops and more. We’ll bring the whole look together, putting the perfect finishing touch on the project with carefully-chosen accessories. If you don’t like what you see in the stores and magazines, we can customize anything to your liking. 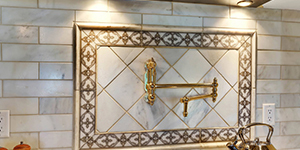 For example, we can commission custom work for artistic metal projects, leaded and stained glass works, original painted murals and even decorative wall finishes, like Venetian plaster, American clay or faux painting applications. Need help with interior decorating or remodeling ideas? What about furniture selections for your home office? Call the leading experts in home remodeling in Phoenix AZ at 480-534-3934 or fill out our convenient online form. It’s time to think about doing something for YOU for a change.